Under the hood you get a 2.26Ghz Snapdragon 800 processor, 3GB of RAM, an impressive 13MP rear camera, and a whopping 3,200mAh removable battery. The internal storage will be either 16GB or 32GB, plus whatever you can cram in the MicroSD card slot. In the photos you can see LG's new standard rear-mounted volume and power buttons beneath the camera, and the phone will be offered in at least three colors with a unique texture on the battery cover. LG is particularly proud of a new 1-watt speaker, which is 30% louder than the previous model. LG hasn't said when the phone will launch, but when it does it will run Android 4.4 plus LG's usual suite of add-ons. These include a new selfie-friendly picture mode which shrinks the preview window and borders it with white for better facial lighting. They call it "Flash for Selfie," but there's no actual flash on the front, and the front-facing camera is still a rather paltry 2.1MP. The rear camera benefits from optical image stabilization, 120FPS high-speed/slow motion shooting, and a 4K recording mode. Other goodies include a "display shrink" option that limits the size of the screen for one-handed operation and a splitscreen web browser. LG hasn't said when the G Pro 2 will be available or for how much, but you can bet it will be hitting all the major markets before too long. 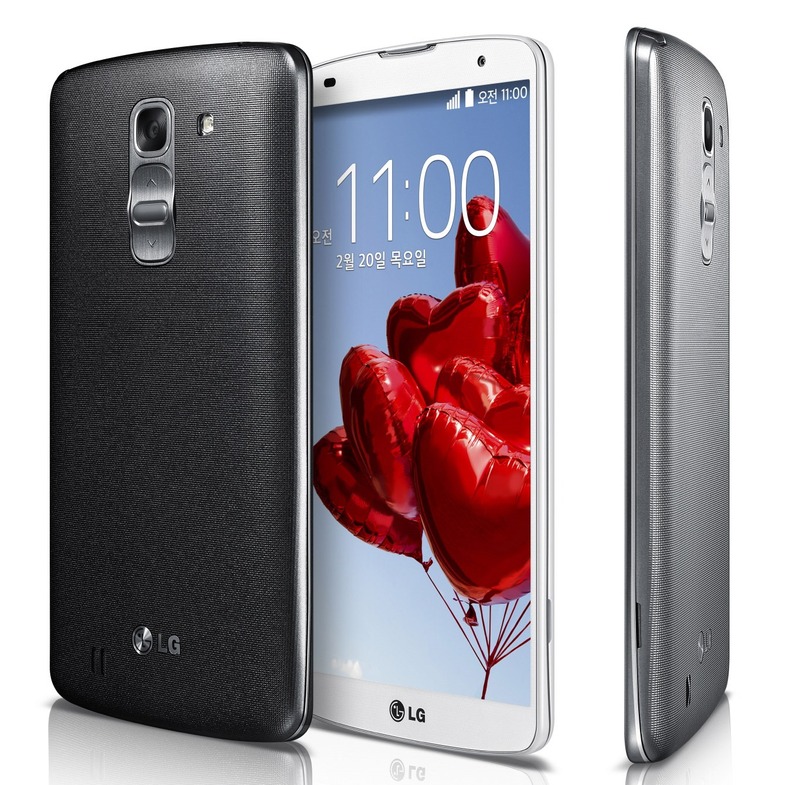 LG will be showing off its new baby at Mobile World Congress in a little over a week.